Elizabeth K. Leffel, Douglas S. Reed, “Marburg and Ebola Viruses as Aerosol Threats,” Biosecurity and Bioterrorism: Biodefense Strategy, Practice, and Science, 2004;2(3):186-191. Collett Marc S. “Impact of Synthetic Genomics on the Threat of Bioterrorism with Viral Agents. In: Working Papers for Synthetic Genomics: Risks and Benefits for Science and Society,” pp. 83-103. Garfinkel MS, Endy D, Epstein GL, Friedman RM, editors. 2007. Matishak, Martin, “U.S Will Expand Biosecurity Work to Africa, Official Says,” 23 November 2010, Global Security Network http://gsn.nti.org/gsn/nw_20101123_8958.php Last Checked 20 February 2011. 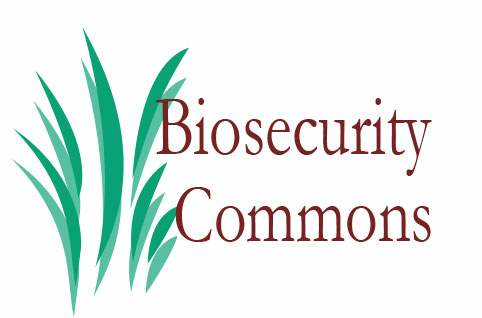 “Research personnel at the Biosecurity Level 4 facility are expected to collaborate with overseas counterparts. Ghose, Tia, “A Possible Ebola Vaccine? : A new Ebola vaccine candidate protects mice against death and can be produced quickly in response to a bioterrorism threat,” The Scientist December 5, 2011. http://the-scientist.com/2011/12/05/a-possible-ebola-vaccine/ Last checked 12/7/2011. W. Phoolcharoen, et. al, “A nonreplicating subunit vaccine protects mice against lethal Ebola virus challenge,” PNAS, doi/10.1073/pnas.1117715108, 2011. L. Zeitlin, et. al, “Enhanced potency of a fucose-free monoclonal antibody being developed as an Ebola Q:2 virus immunoprotectant,” PNAS, doi/10.1073/pnas.1108360108, 2011.